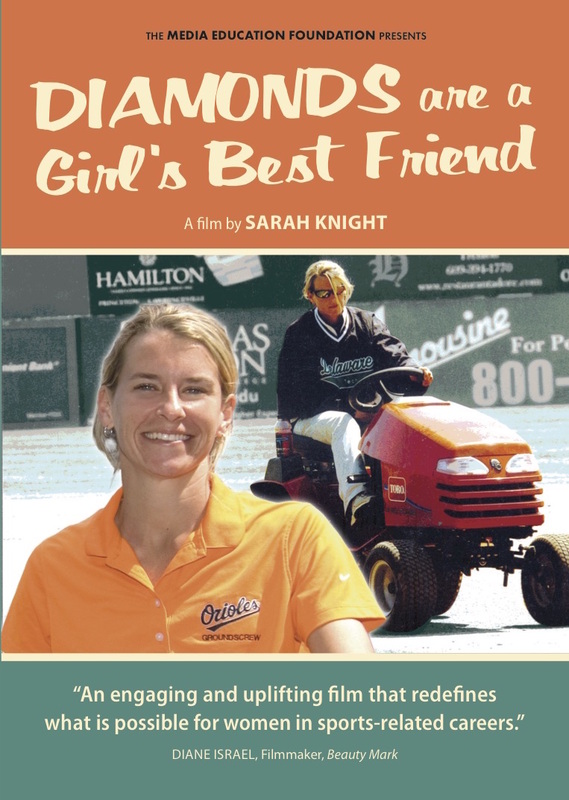 Diamonds Are a Girl’s Best Friend tells the inspiring story of Nicole Sherry McFadyen, one of only two women in history to be named Head Groundskeeper of a Major League Baseball team. Beginning with her first internship, the film shows how McFadyen rose through the ranks to become a leading innovator in the field and ultimately take the prestigious head job at storied Camden Yards in Baltimore. If you're looking for ways to counter negative gender stereotypes with a positive and powerful vision of women's leadership, this is an ideal classroom resource. Sarah Knight is currently in development on In the Land of Fire & Ice, which will star Oscar nominee, Shohreh Aghdashloo (The House of Sand and Fog), as a high-powered Kuwaiti CEO who retreats from personal and professional pressures to Iceland where she falls for a charming Scottish hotel keeper. The screenplay was selected for the 2016 Athena List. Her narrative feature debut, Vino Veritas, starring Emmy winner, Carrie Preston (The Good Wife, True Blood), won Best Narrative Feature at Cinema on the Bayou and Best Comedy at the Wine Country Film Festival. The film was distributed by Gravitas Ventures. Her previous doc, Hot Flash, about Saffire — The Uppity Blues Women, was nominated for a Blues Music Award, won the Audience Favorite Award at Cinema on the Bayou, and was acquired by Shorts International. Sarah’s adaptation of the bestselling novel (co-written with Sarah Skibinski), A Yellow Raft in Blue Water, was featured at the 2007 IFP Market (Emerging Narrative section), was invited to the Film Independent (FIND) Screenwriter’s Lab, and was a second round finalist for the Sundance Labs twice. The film chronicles the saga of three generations of American Indian women. Q’orianka Kilcher (Pocahontas in The New World) will star. She has won fellowships to the Berlinale Talent Campus, the Rotterdam CineMart Producer’s Lab, and the Tribeca Film Institute’s Tribeca All Access. Short films include Qiana (director, screenwriter, producer), Abstinence Makes the Heart Grow Fonder (director, writer, co-producer) and the internet cult hit, Survivor in da ‘Hood (director, co- writer). Sarah directs theatre in New York and Los Angeles. Credits include An Ideal Wife, based on her adaptation of Oscar Wilde’s An Ideal Husband, (Pacific Resident Theatre-workshop space). She has assisted directors Taylor Hackford and Mikael Salomon and producers Peter Macgregor-Scott and Robert Shapiro. "A tremendous classroom resource! If you're looking for a positive and inspiring story to counter the negative narratives about women that too often circulate in our culture, this film is a must-see!" "My job as an Outreach Educator is to deliver educational programming throughout New England that shows educators how to use baseball as a vehicle for education. When reaching out to students, many times I find it extremely difficult to show how baseball relates to women. Your film not only opens eyes, but avenues as well, in showing how women not only hold a place in baseball but stand shoulder to shoulder with all of their colleagues." "This film effectively captures the art and aesthetics of the landscape architecture of a modern athletic facility....highly recommended."